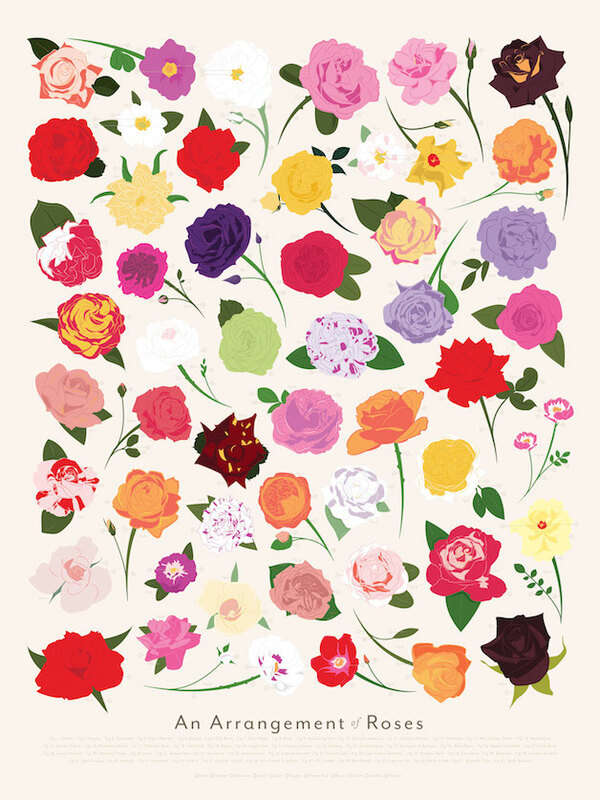 The latest from PopChart Labs brings a veritable botanical garden of blooms to your wall with a series of four floral posters. 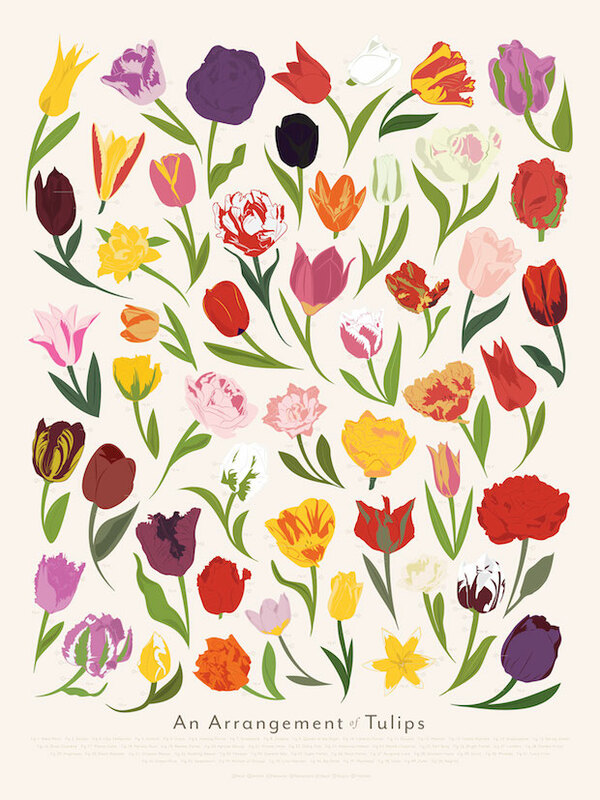 After settling on four popular North American flower varieties—roses, sunflowers, peonies and tulips—the creative team drew up a pleasantly-cluttered scheme featuring 50 colorful species from each. Each blossom is accompanied by its delightfully evocative name. Sunflowers can be "Chocolates," "Buttercreams," or "Lemon Queens." 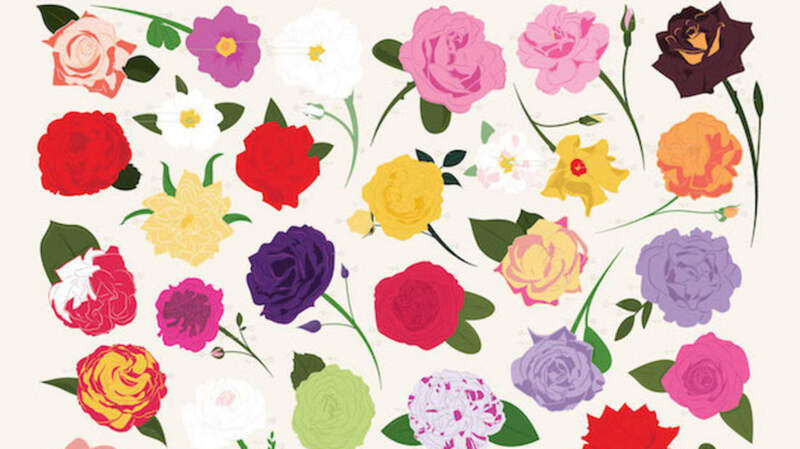 Peonies range from "Buckeye Belles" to "Do Tells" to "Big Bens." Roses come in not just red but also "Purple Tiger," "Gold Blush," and "Blue Moon." And tulips can be your "Sweetheart," "Olympic Flame," or "American Dream." The buds themselves are beautiful, but the folks at PopChart Labs thought the posters should be more charty. "So we set out to scientifically label the parts of each flower, from stem to stamen," the creative team said. "This meant examining each flower very closely in addition to simply admiring them as objects of outward beauty, giving us new appreciation of the subject." They also learned some fun facts about the different flowers along the way. 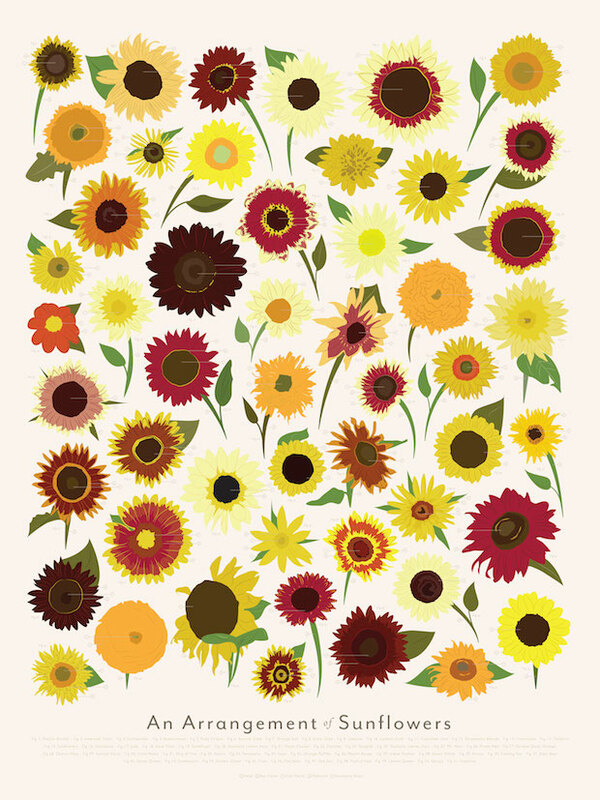 Did you know sunflowers are actually made up of many, many miniature flowers called ray florets and disk florets? 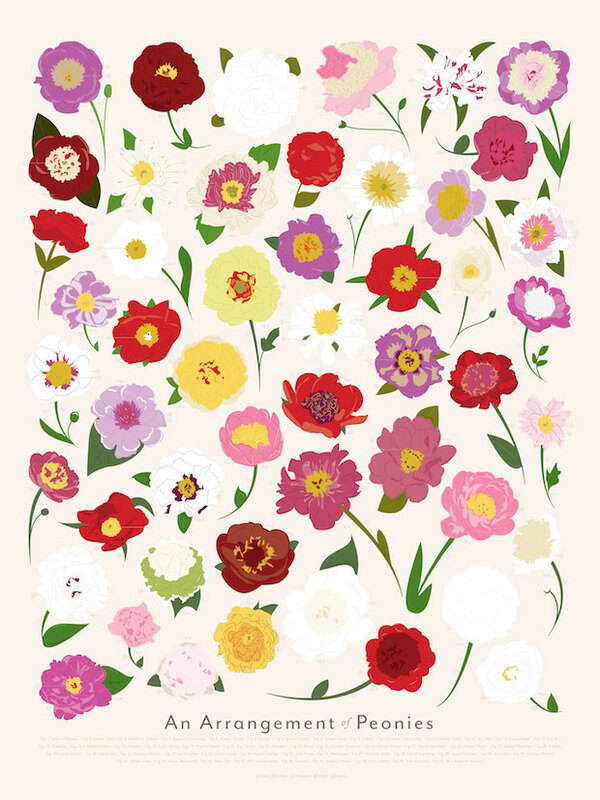 The posters are available individually or as a Bouquet Box Set.